Buy 2 Tubers, Get 2 Tubers FREE! 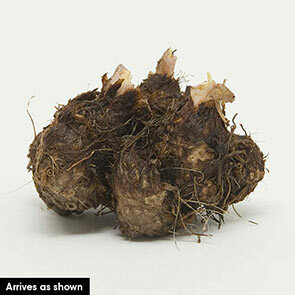 You will receive 2 FREE Tubers when your order arrives. Please note, the additional 2 Tubers will not show on your web order and will be processed when your order ships. 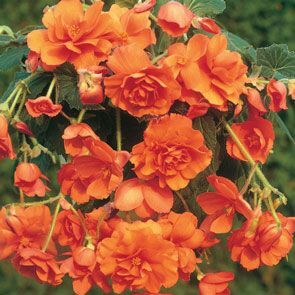 Incredibly prolific—50 or more blooms per plant! Add some magic to planters, window boxes, the porch or patio with this amazingly prolific begonia. Large, 4-5", fully double, orange blossoms shower downward amidst lush green foliage. Begins blooming in summer and continues nonstop until the first frost of fall, with up to 50 or more blooms per plant. Begonia pendula.